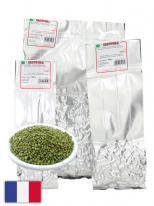 All Brouwland hops are packed in special vacuum packages for optimal storage life and placed in a cold storage at 5 °C. The availability and alpha acid content depend on the harvest. 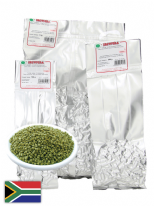 Hop pellets are ground hops that are then pressed into small pellets. Use about 10% less than when using hop cones with the same alpha. 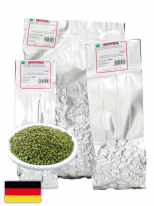 Hop pellets can be preserved for longer and are available for a longer period of time during the season.